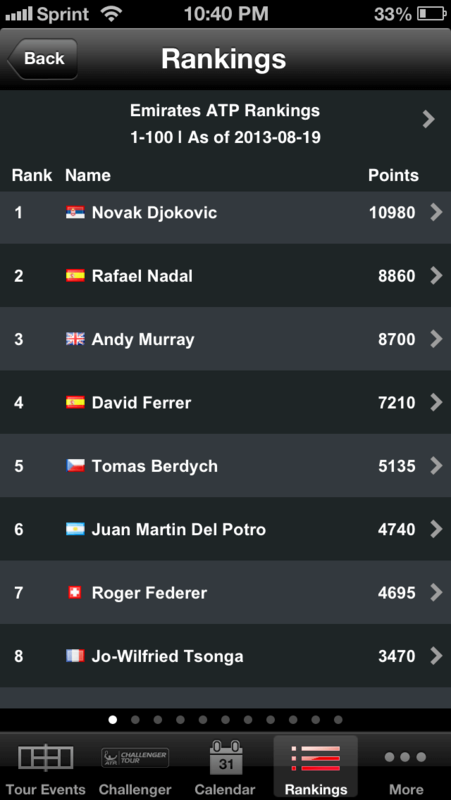 As of Monday August 19, 2013, Roger Federer’s new ranking will be world #7. The last time Roger Federer was ranked #7 was waaaaaaaay back on October 14, 2002! How did Roger Federer’s new ranking get so low? In professional tennis, your ranking depends on ATP points earned and ATP points defended. In the case of Roger Federer, he had a lot of ATP points to defend in 2013 from 2012. For example, because Roger Federer earned 2000 ATP ranking points for winning Wimbledon in 2012, in order to keep those 2000 ATP points, he would have had to have won Wimbledon again, thus not losing any points and not dropping position in rank. But, because he lost in the second round of Wimbledon in 2013, he was unable to defend the points from 2012, so he lost 1,955 ATP ranking points; after losing so many points, he was ranked #5 after the major. Fast forward to 2013 Cincinnati, because Roger Federer won in 2012, he had to defend 1000 ATP points, but because he lost in the quaterfinals against Rafa Nadal, he lost 955 ATP ranking points, where Rafa hadn’t played in 2012 and won the tournament in 2013, he gained 1000 ATP ranking points, which as boosts him to #2 in the world. You see, it’s all math! How will Roger Federer’s new ranking affect him? Does Roger know the last time he was ranked so low? Being ranked at the bottom of the top 10 means Roger will likely not get easy opponents in the early rounds of the 2013 US Open, and it gets more difficult in the later rounds. If the rankings remain the same until the draws of the US Open, he could face the #2 seed (likely Rafa again) in the quaterfinals, and we all know how that will end. If Roger Federer keeps dropping in the world rankings, he may not qualify for the year end championships held at the O2, where only the top 8 men are selected to compete in a round robin format. This place that Roger Federer’s new ranking has landed him is a big mountain to climb, Federer has worked incredibly hard to get to where he is, and now to start losing everything he’s built is likely a strong blow to his ego. I am not confident that he will be able to return to the top of the rankings, the competition is just too strong. His competitors have figured out how to break him down (thanks to Rafa). 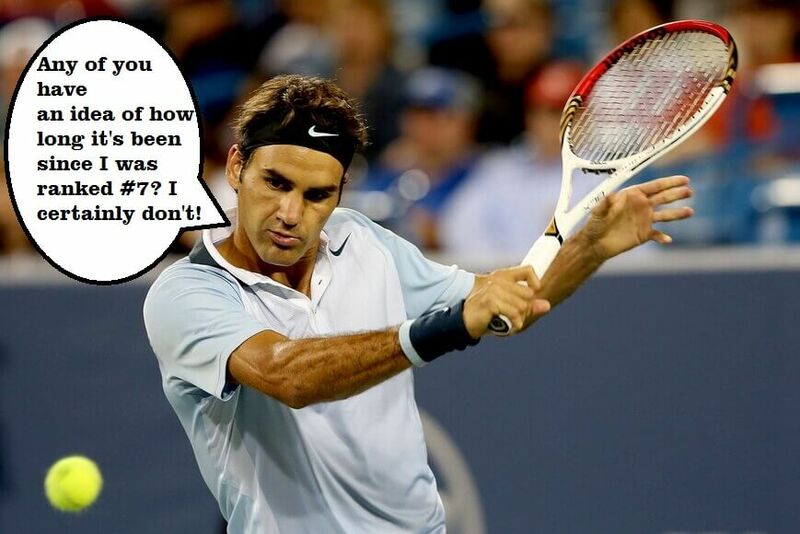 The rest of the 2013 tennis season for Roger Federer is going to be a very tough road.